R&S Erection of Concord > Blog > Garage > What Your Garage Door Says About You? 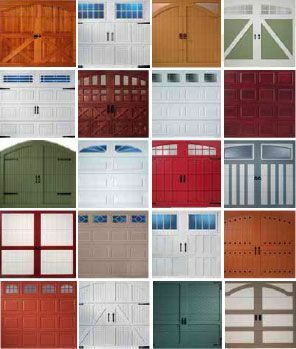 What Your Garage Door Says About You? You wouldn’t think that a garage door says a whole lot about the people who live inside, but it does. After more than 50 years in the garage installation and repair business, you’d be surprised what we know by examining a garage door. Here are some of the things your garage blabs to the world about you and other house occupants. You like to draw attention to yourself. If you have a fresh and brightly colored garage door, odds are you’re feeling pretty bold and confident. In fact, you feel so good about yourself – and your home’s garage door – that you don’t mind if the whole world takes a look. In fact, your boldly painted red, blue or yellow garage door is more like your way of saying, “Look at me, world!” as you boldly stare back.Helpful Tip: Just make sure you keep that paint well-sealed and/or refreshed because while a dilapidated neutral-colored door is always a bit of an eyesore, your peeling red paint is a much more garish display of decay. You’re not overly observant. Sometimes, our garage door maintenance routes take us back and forth through the same neighborhoods. The first time we see the garage door up, we figure it’s a fluke or perhaps a homeowner is busy working outside. The next time, and the next – we realize that the homeowner is driving away, clicking the remote access closer, and not paying attention to the fact that the door isn’t closing. Whoops!Helpful Tip: First, we highly recommend waiting until your garage door is all the way closed before driving off. Second, if the door won’t close, odds are there is something in the way and/or that the laser eyes are a tad bit off – both of which are easy fixes. You’re a neat Nelly. It’s not just the garage door that says this about you; it’s your house, the window trimmings, the landscape design and everything else. The paint is fresh and the lawn and shrubs are tidy. When the garage door is up, the neighbors are in awe at the organization they see on display – there’s a place for everything and everything in its place. Yours is the garage that everyone wants to have – but hardly anybody does.Helpful Tip: We applaud the time you spend keeping things in order, but we recommend giving yourself a break once in a while and letting the professionals take over. A licenses garage door company will be happy to perform routine garage door maintenance at a very reasonable price, leaving you more free to get out there and have fun once in a while. You’re a renter. When the yard is verdant and well-maintained, and the house is in good shape – but the garage door is outdated and a bit dilapidated, we figure you must be a renter. While you’re doing a great job of maintaining what you can, there’s a point where an outdated garage door gives you away. Replacing a garage door isn’t something most landlords volunteer to do, and it isn’t an expense most renters volunteer to take on. Thus, rental homes often have garage doors that are seriously out of date.Helpful tip: Contact a licensed garage door company and have them give you a free estimate for an automatic garage door replacement. Even bottom-end units are attractive and reliable, and they sure beat the look and (dys)function of an outdated door. Then, staple it to a copy of our post, Garage Door Safety 101. It will serve as a reminder that the outdated garage door on your home is actually a bit of a safety hazard. You know your stuff when it comes to garage doors. If you’re paying attention to the world of garage doors, you’ll show it off by replacing weather stripping or seals before winter weather strikes, or upgrading the insulation before you turn it into a hobby shop or man cave. You may even have certain luxuries, like a garage door screen, the converts your garage into more of an indoor/outdoor living space when the weather gets warm.Helpful tip: While we applaud your DIY ability, there are some garage door repairs you shouldn’t do yourself. Know when to contact the professionals so you don’t make a regrettable error. Feel like your garage door isn’t saying the right thing about you? 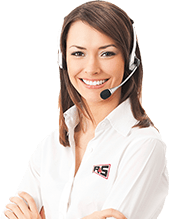 Contact us here at R&S and we’ll see if we can help.